Food-lovers will no doubt be familiar with the first two on my Greek favorites list—the sticky, honey-drenched, filo-dough dessert and its deliciously healthy antithesis of creamy goodness. So, I’ll move straight to Korres, my current beauty obsession. I first spotted this brand several years ago when I traveled to Greece on vacation with my husband and saw Korres skincare products in a pharmacy in Paros, one of the many gorgeous Cyclades islands. The packaging was clean and chic, and the products smelled fresh and deliciously fruity, but never in that overly cloying way. 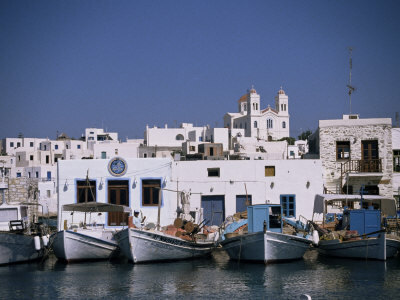 Everything about it evoked the healthy lifestyles, clean whitewashed walls, fresh breezes, and deep blue seas of Greece. 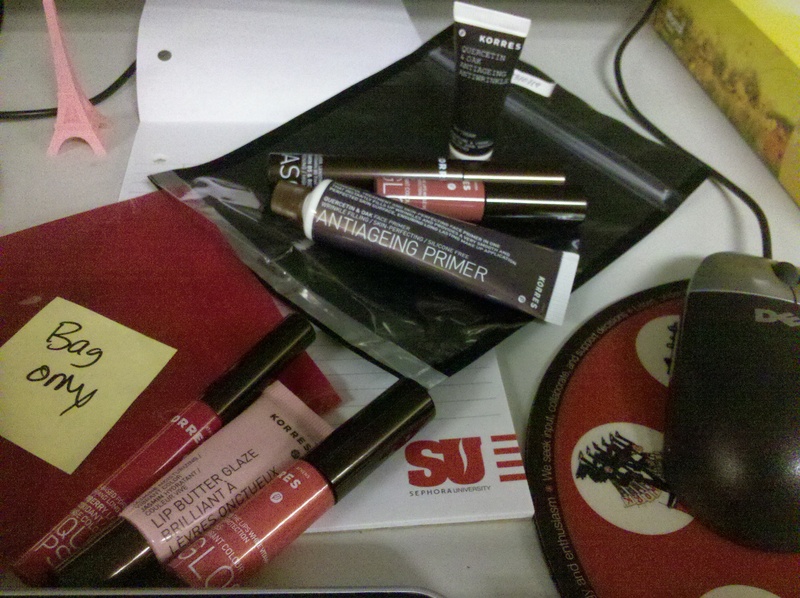 I didn’t actually try the full collection until later when I ecstatically saw the brand selling at Sephora. And now, whenever given the chance to restock my beauty closet, I reminisce about my Mediterranean getaway and pick up a new Korres product. – Lip Butter Glaze (in any of the four offered shades): The brand’s newest offering, a cross between its classic lip butters in a pot and a gloss, in a convenient tube. – Cherry Oil Lipgloss in Rose- Sheer, shimmery, moisturizing, just the right shade of sheer pink, and formulated with a light scent of sweet cherry. – Face Primer – Silicone-free, super-moisturizing and light, and the perfect canvas before applying your makeup. Plus, it doesn’t make my sensitive skin break out. Look out for the two collections of spring value sets for the lips and face (pictured top) to launch in mid-February. 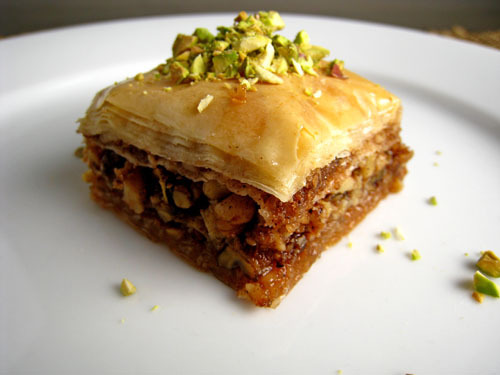 …For those of you itching to bake something sweet this weekend, here’s a baklava recipe courtesy of Alton Brown on the Food Network!